As an instructor, it is a well known fact that there are no fitness regulating agencies/organizations that are out there making sure pole studio instructors are certified or have had any formal education to teach. As a student, this is probably a very surprising fact. 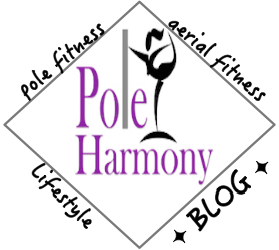 Anyone can be a pole fitness instructor or declare themselves "professionally trained" in the aerial arts. It depends on what they define being professionally trained. In my opinion, professionally trained means you've taken a specific certification or training that covers all bases of proper terminology, technique, form, posture, injury prevention, spotting, CPR/Basic First Aid, etc. Not to mention you've trained at a legitimate school or facility over a prolonged period of time. It's becoming an increasing trend that people who lack the aforementioned training are deeming themselves "professionally trained" and marketing themselves to a student population. This poses many dangers for both the instructor and their students. I've seen so many "professionals" as they claim, teaching movement that is considered dangerous and unnatural movement that over time can lead to chronic injuries. I've preached so many times in the past and will continue to do so, that the student is responsible for doing their research. But how can you differentiate or know when someone is bluffing on their supposed "professional training?" Ask for proof. Ask for references. Training facilities will know who their students are. You have every right to ask for references of their training and follow through with the training facility to confirm their expertise. In aerial, you are putting your life at risk- it's completely appropriate and responsible as a consumer to do the necessary research to assure your safety. Know if your instructor is insured. Ask to see their policy. As an instructor that is independently insured through a private insurer outside of the studio I work for, I make sure to carry around my policy with me where ever I may teach for this specific reason. People ask and have a right to know. Ask to see proof of CPR/Basic First Aid certification. This is in a form of a card provided by the American Heart Association. Qualified instructors should be proficient in the basic skills in case of an emergency. Again, you are trusting someone with your life- there is absolutely no reason you should flake out on making sure your instructor has all their ducks in a row and are who they say they are. It's official! I'm AFAA Group Fitness Certified!